This unconventional diamond eternity band combines both modern and classic beauty. The round and marquise shaped bezels are filled with 24 round brilliant-cut diamonds. Look inside the marquise bezel and you'll see 2 diamonds, perfectly set. The diamonds, total weight 0.27ct, are available in your choice of clarity. 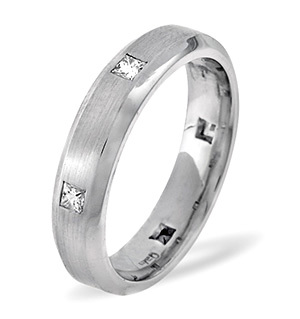 The highly polished band comes in 18k gold or platinum.